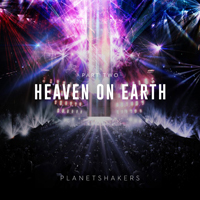 The “Heaven On Earth 2” extended play was released on July 13, 2018. “Move Out Of My Way” was sung by Joth Hunt in the key of A major (A). “Electric Atmosphere” was sung by Rudy Nikkerud in the key of C sharp major or D flat major (C# | Db). “I Want Jesus” was sung by Sam Evans in the key of C sharp major or D flat major (C# | Db). “Draw Close Again” was sung by Joth Hunt in the key of A sharp major or B flat major (A# | Bb). Back to Heaven On Earth 1. Go to Heaven On Earth 3.